Was putting away Christmas boxes this afternoon and figured I’d dig through some of the other plastic storage containers in the basement and see what I could get rid of. Here’s one from 1989, a collaboration with my old anonymous pal that we were doing for the West Chester University newspaper. 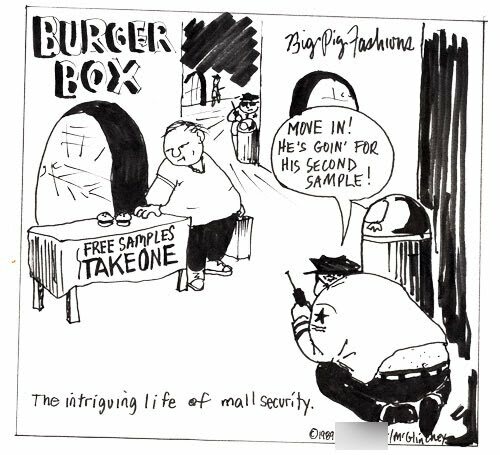 With all the ads for Mall Cop this week, this one comic now seems on time, 20 years later. This entry was posted in comic, drawings, mall cop. Bookmark the permalink.